Happy Monday, dear readers! I'm convinced this past weekend must be the shortest on record, but here we are yet again, Monday! After my trip out of town, I'm mostly back onto the swing of things, and I wanted to continue on with my blogiversary celebration. As mentioned previously, my blog is currently celebrating its 5th anniversary. Because five years in a milestone year for anniversaries, I wanted to do something a little different to celebrate. I partnered up with three different brands to design and create polishes inspired by one of the suggested gifts for a fifth anniversary. In my first post, I shared my Literary Lacquers polish, The Happy Prince, inspired by the modern (jewelry) gift; today I am sharing the polish created with the inspiration of the traditional gift: wood! Now onto the polish! My rambling is even driving me crazy! I Never Wood Have Guessed is a stunning cinnamon-brown holographic polish with added copper shimmers. This polish is so warm and inviting, especially with all the rainy grey day I've seen around here lately! The holo effect is also really spectacular, and there's still the rainbows even in low indoor lighting. The formula is so creamy and smooth, although any KBShimmer fan already knows Christy kills it with fantastic formulas all the time! It's Petrifying is a light taupe or buff crelly base and filled with glitters of assorted sizes and colours to imitate the look of the colours in the petrified log slices. I'm really digging this crelly! White-based shades sometimes look harsh against my skin tone, and the hint of colour on the base makes it more wearable. I particularly love the depth when using three thin coats! The glitters make the finished a little textured, and I needed two coats of top coat for a smooth finish. I love how these shades turned out, and I hope you do too because.....they're going to be available for purchase at The Indie Shop in Atlanta, Georgia on March 11th! I also have a few sets that I'll be giving away, so stay tuned to catch the giveaway, both on my blog and IG! These shades are a great way to celebrate my 5th blogiversary, and it was such an honor to work with Christy on these! She nailed the inspiration beautifully! What do you think of these shades? Will you be picking them up at The Indie Shop, or are you hoping to win a pair? I'd love to hear from you! Beautiful nail polish shades! 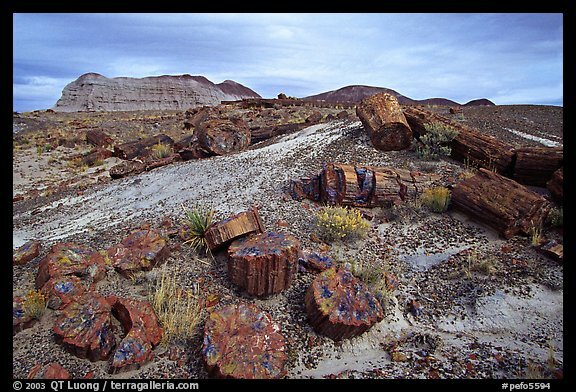 (I visited the Petrified Forest back in 1996....what an interesting place to go. Would love to go back if I could.) Christy sure knows how to create gorgeous colors, doesn't she? 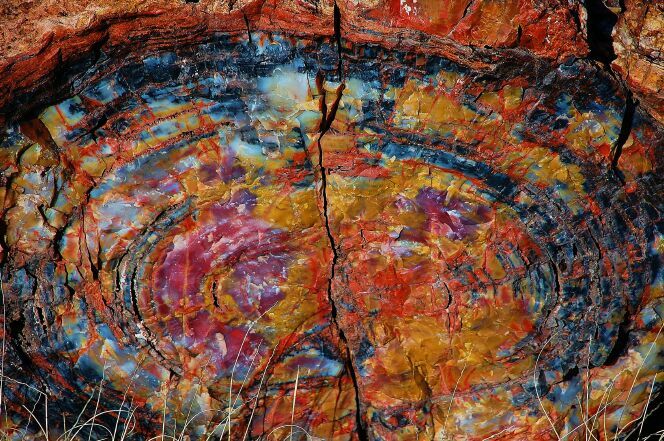 That petrified wood is absolutely stunning - and so are the two polishes, of course! 5 years? That's so awesome! I Never Wood Have Guessed is stunning! Happy 5th anniversary!! 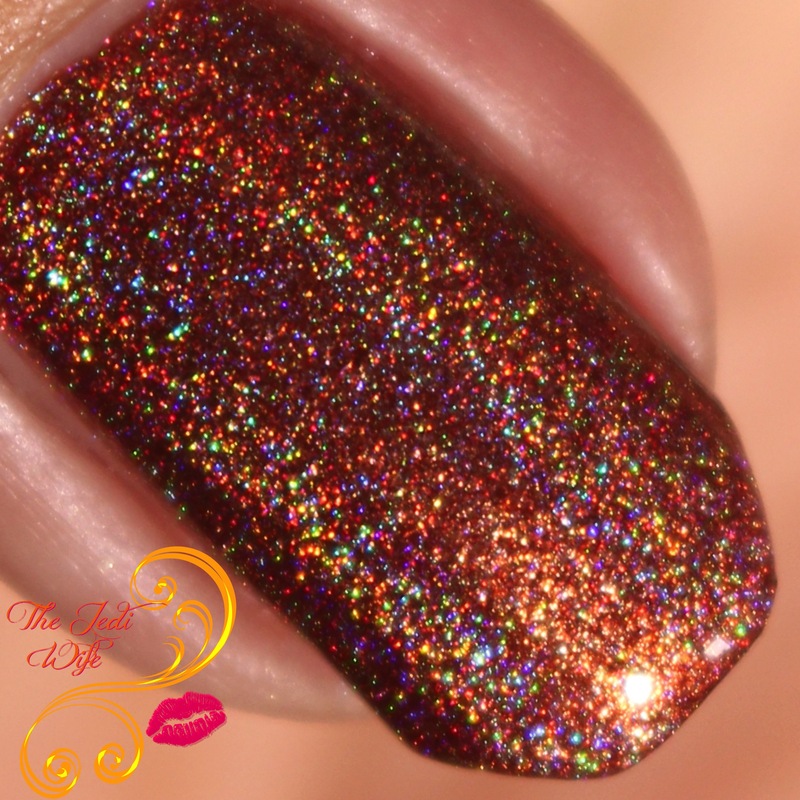 I ADORE that holo! I just saw these in the Indie Shop group and I didn't realize they were for your anniversary! I'm going to grab these for sure! Congratulations! 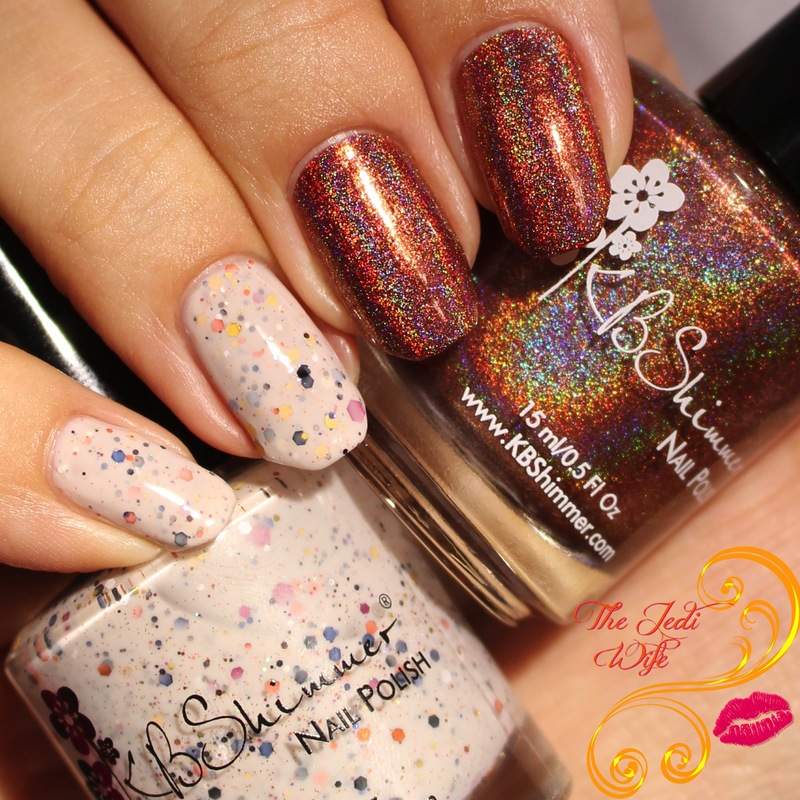 These are both amazing shades and I love the inspiration! Happy five years!! My little blog is also turning 5! But I just love I never would have guessed and I'm not even a holo person! How exciting -- congratulations on hitting 5 years. That's awesome! Happy 5 years!!!! Here's to 5 more fabulous years!! !